Yangshuo, a small town in southern China, most known for its beautiful KARST mountain scenery (karst topography is a landscape shaped by the dissolution of layers of soluble bedrock such as limestone or dolomite. 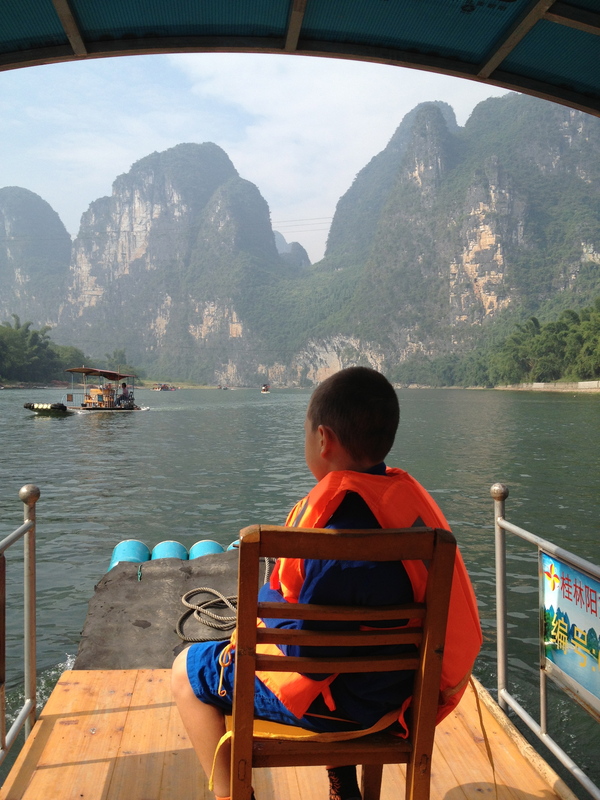 South China is a major Karst area in the world), was our next destination in China. The major appeal of this area is three-fold – to cycle the area, float the gorgeous Li River while taking in the breath-taking mountain and rice field scenery, and to climb the peaks (Yangshuo is one of the top 5 climbing destinations in the world and many climbers hang out here for months to perfect their skill). We stayed at the most perfect eco-friendly, home-style run villa called The Stonebridge Inn http://www.hostelworld.com/hosteldetails.php/The-Stone-Bridge/Yangshuo/53001?sc_sau=sfab&sc_pos=5 This super bright, clean and inviting hostel was located in the valley – just outside the busy town centre – overlooking farmers’ rice paddys, mountains and pomelo orchards (a pomelo is a type of large, delicious grapefruit). This inn is run by the nicest and most hospitable husband and wife team you’ll ever meet. ahLong (Australian) and his wife Jess (Chinese) know what foreigners and first-time visitors to China need; a delicious breakfast (with best Muesli ever! ), some good directions on what to do in and around town (ahLong will even drop you off at the bus station or ride into the mountains to see that you are going in the right direction), help with translations and your laundry, that quickly starts to pile up, and even play “mommy” and take care of you when you are feeling a bit under the weather (Thanks a bunch Jess!)! 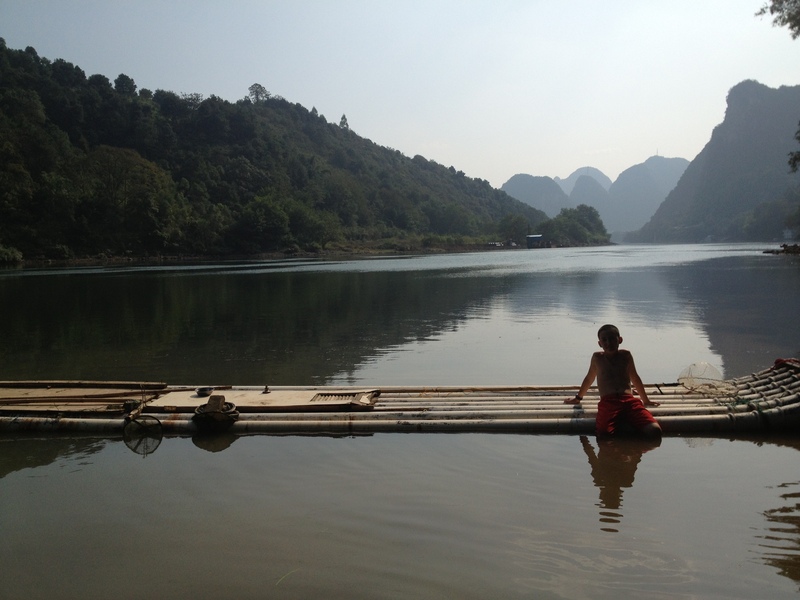 Our first day there, we were excited to take the 1.5 hour ride on a bamboo raft down the Li River. 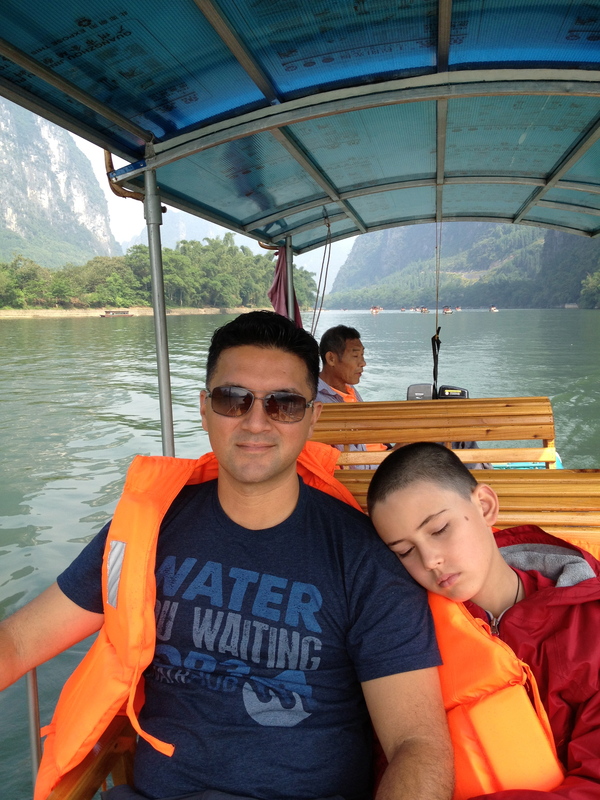 This outing did not disappoint as the scenery was gorgeous – unfortunately the kids were a little tired from travelling and the calm movement of the raft put them to sleep for most of the ride! But no sweat – this gave Anthony and me the chance to chat alone a bit, take lots of pictures and have two cuddle bunnies on our laps. 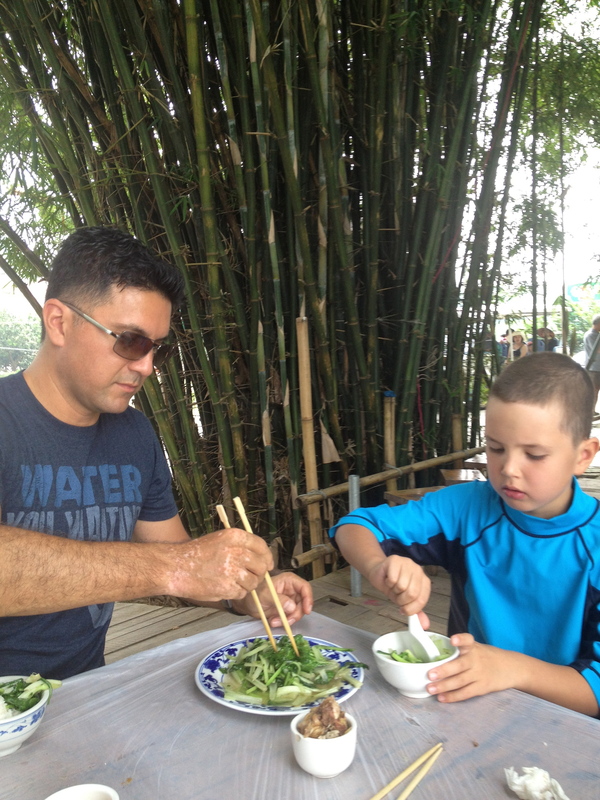 The end of our raft ride was in Xing Ping, a little, historic town where we had a nice lunch by the river (the green, local vegetables with garlic sauce has quickly turned into the boys’ favorite dish!). 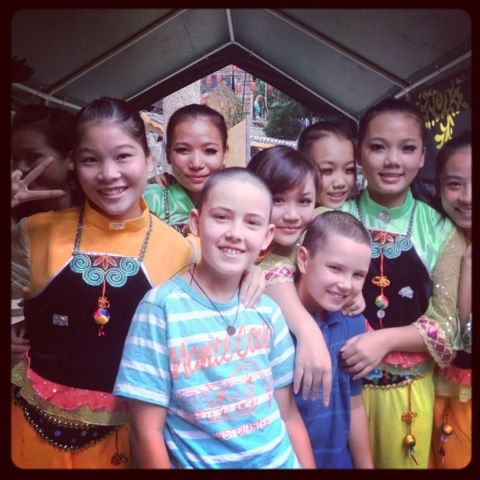 Emile and Filou with Chinese girl performers! Among other attractions in this cycling area were Moon Hill Mountain, a hill with a natural arch through it that Filou and I climbed (800 large steps)! Filou was convinced there was jade to be found on this mountain so in true adventurer style, we stopped several times to dig! 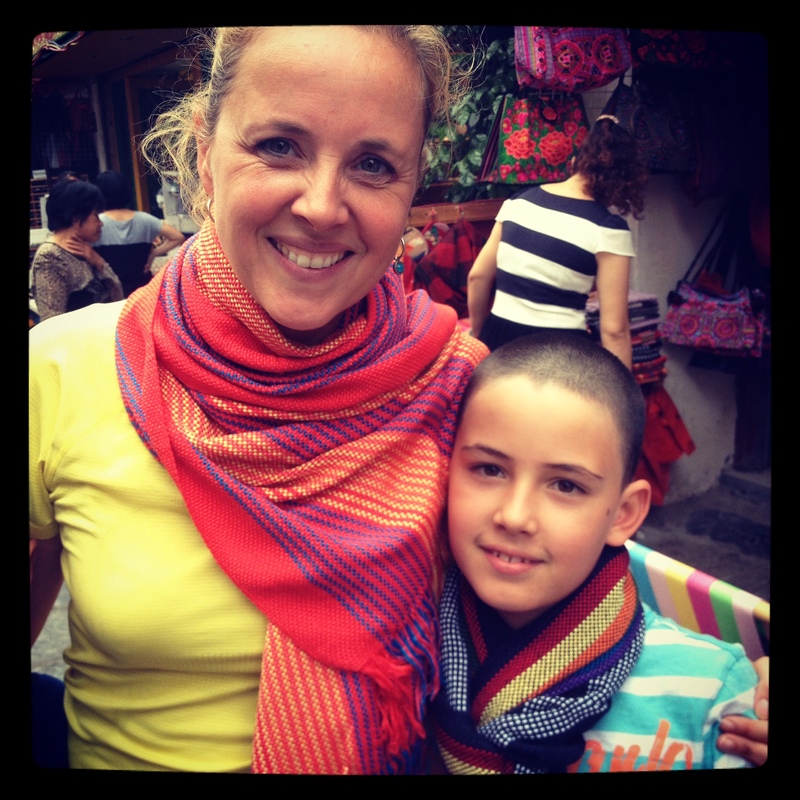 We didn’t find anything but our reward was a motorcycle ride back home (a first and thrilling experience for Filou who had never been on one, let alone together with his mom and driver all stuck together, and without a helmet – o the things you do in other countries)! And then there was the Mud Cave & Hot Springs that I indulged in with the boys one afternoon – slightly smelly but super fun to float on mud in a beautiful cave! I have quickly come to love and appreciate the members of a Facebook group called, Families on the Move – a group of avid travellers that take their families on the road for 6 months or more and provide advice to one another about travel in various countries (some have sold all of their belongings and travel continuously – and because of it, are the best travel guides you’ll ever find!). Through this group, I got to meet Sonja and her lovely family from Vancouver who, like us, set out to travel for a year with their children. 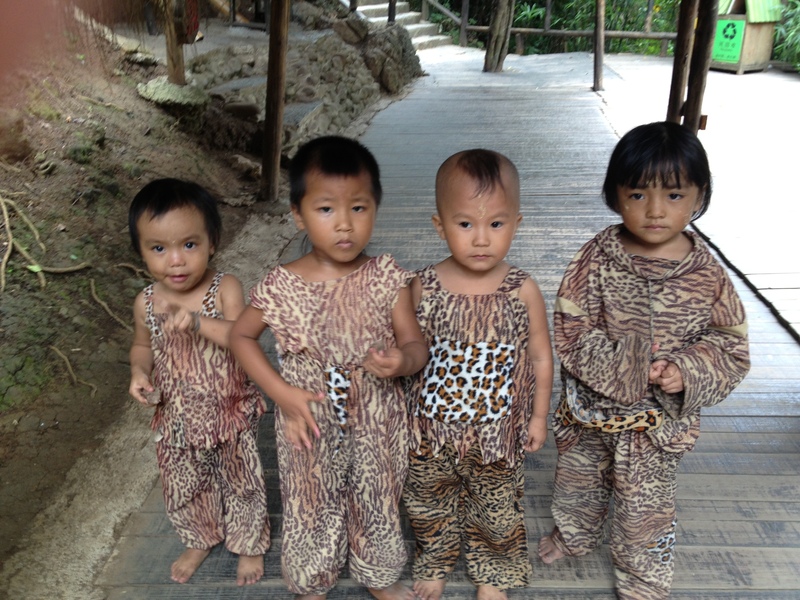 When Sonja, her husband Mike and their children Emma and Jacob arrived in Yangshuo we were all very excited to meet them (the kids were keen to have some English playmates) – and we all clicked instantly. Sonja invited me to a Chinese cooking class she was taking and of course I was game. 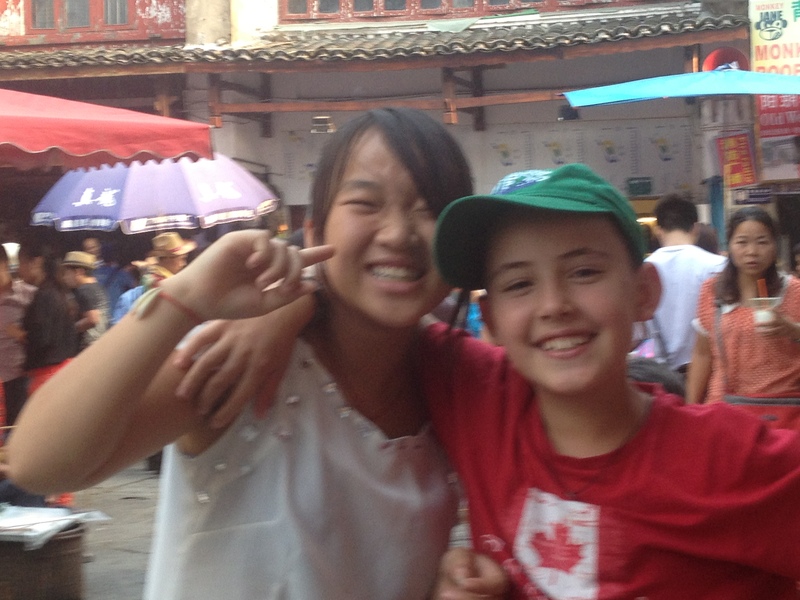 We met a sweet, 20-year old girl Chinese girl called Mona in the heart of town. 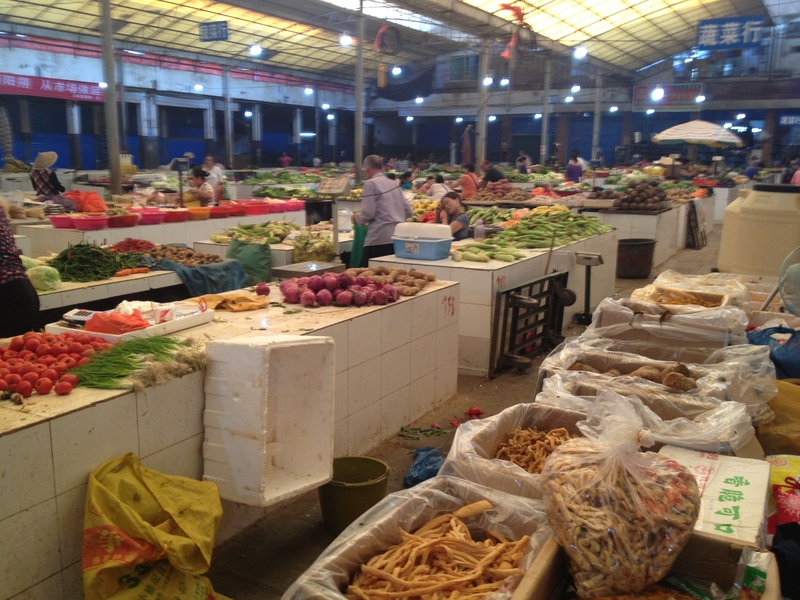 She first took us to Yanghuo’s local farmers market to guide us through the many varieties of Chinese vegetables, fruits, fish and meats. And that is not all you see –if you dare to go to the end of the market, you see all kind of animals being killed on the spot – and when I was pointing to an skinned animal that hung up side down – thinking it was a small pig, I was explained it was a dog. 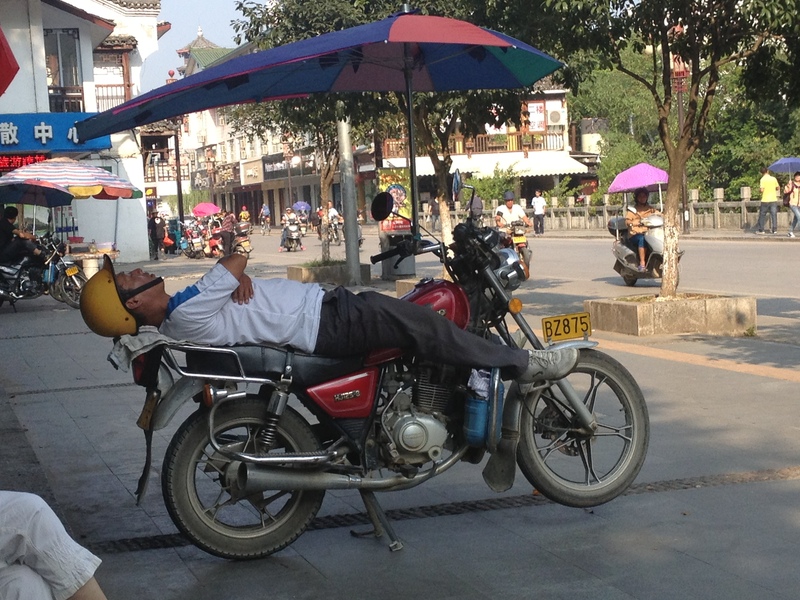 So, yes indeed the Chinese eat dogs and cats – and even the local water rats. ahLong explained to me that he lost three of his pet dogs in three weeks! – as poachers were targeting the area and would come over lunch time – when the Chinese sleep – to scout for dogs to kill and sell at the market! We were told that people are hungry here so that this is indeed a reality (ps: I will spare you the picture of the dog)! So we quickly moved on from the market and drove 20 minutes out of town. 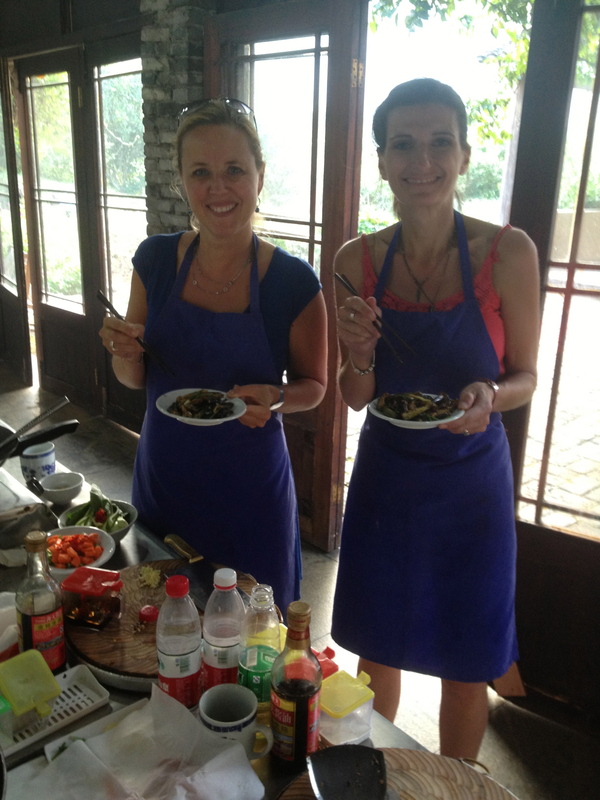 In the beautiful countryside, the Yangshuo Cooking school had a lovely set-up in a farmhouse where we learned to cook the most delicious dishes; bok choy in garlic sauce, spicy cashew chicken, beer fish (a local speciality), stuffed mushroom caps and tofu balls, eggplant in oyster sauce and some delicious pork stuffed dumplings! 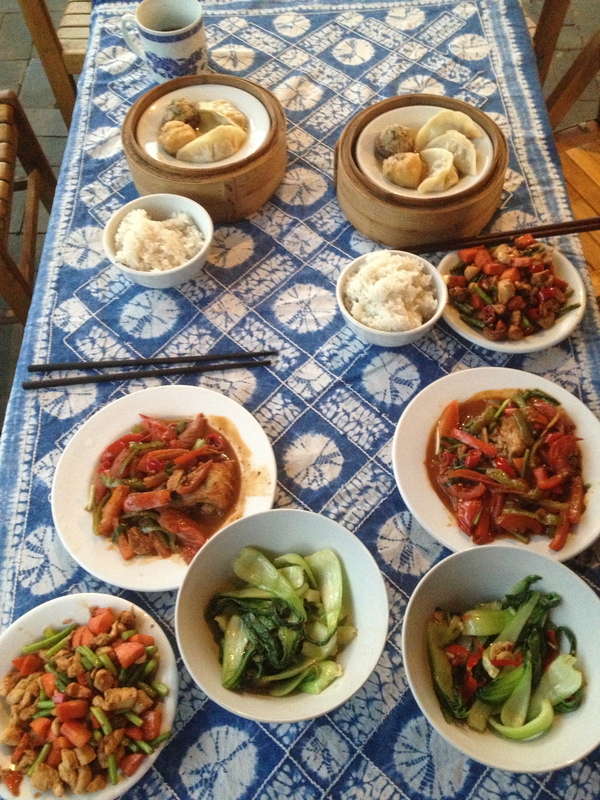 So much food we made in a very short time (as cooking in a wok is all about timing, temperature and speed!). So with very full bellies, recipes in hand and a great satisfaction, we went home that night! 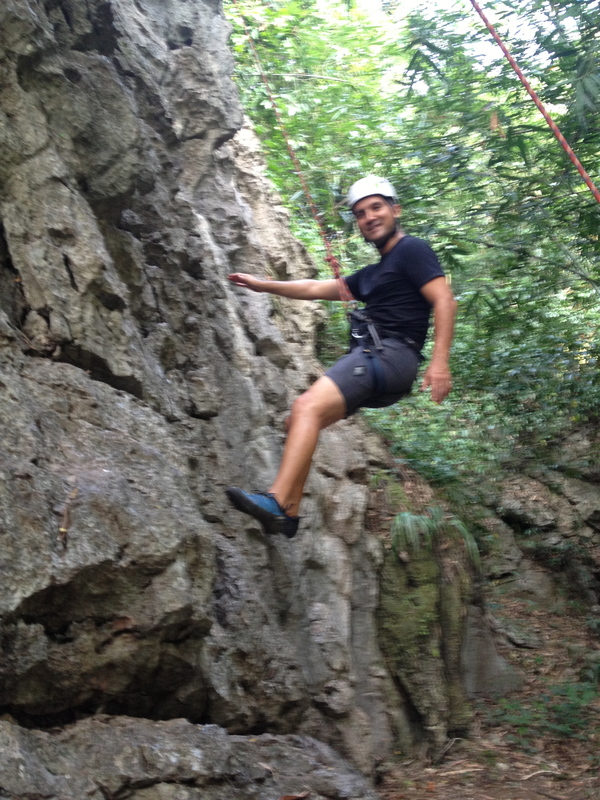 During our days in Yangshuo, Anthony went to a rock climbing café, where he met the real nice owner called aBond. It turned out that aBond is the number one rock climber in China, sponsored by Adidas to climb all over the world (with his girlfriend Ting – also a force to be reckoned with and sponsored by the same brand). This goal-driven 25 year old has the big mission to turn China into the number 1 rock climbing destination in the world (something that one day is achievable as the country has fabulous mountains and a growing interest in this sport – with still so many potential local followers). 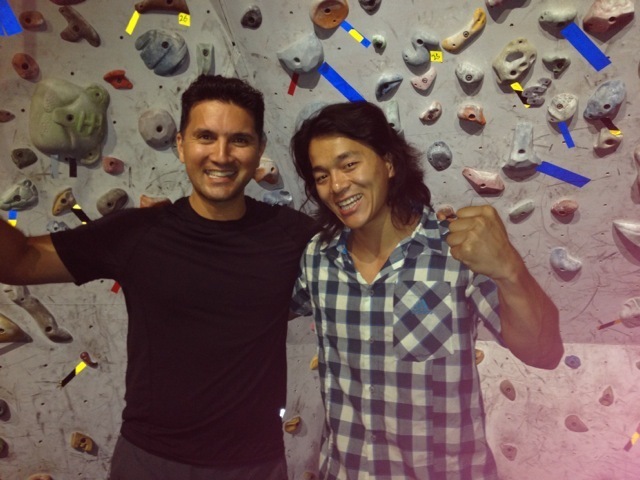 Abond is building a great community with his rock climbing café, rock climbing hostel and adventure company & gear. 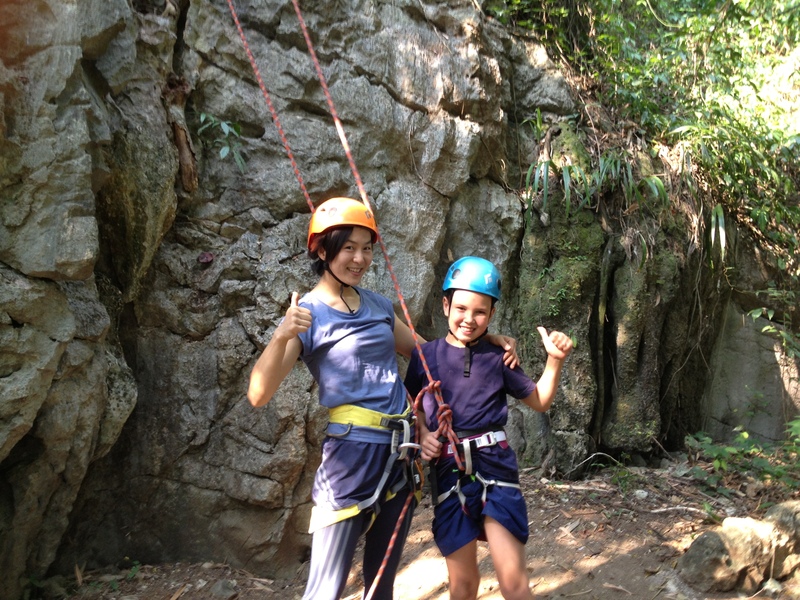 Needless to say, Anthony chose him and his girlfriend to take us on our first rock climbing expedition. Our beginner mountain was called Swiss Cheese – you can probably imagine why – the many holes make it easier for beginners. After the initial explanations and equipment checks (ABCDEFG – A: B: belt, C: D, E: F: Friends, G: Go) Emile was eager to be the first to try, and with little effort reached the first mountain top. Filou needed a little more encouragement and Ting proved to be a brilliant coach – she just wouldn’t take no for an answer or bring him down. After several “I can NOT do this”, he also reached the mountaintop – and was flying with pride (and a high five and candy from Ting). 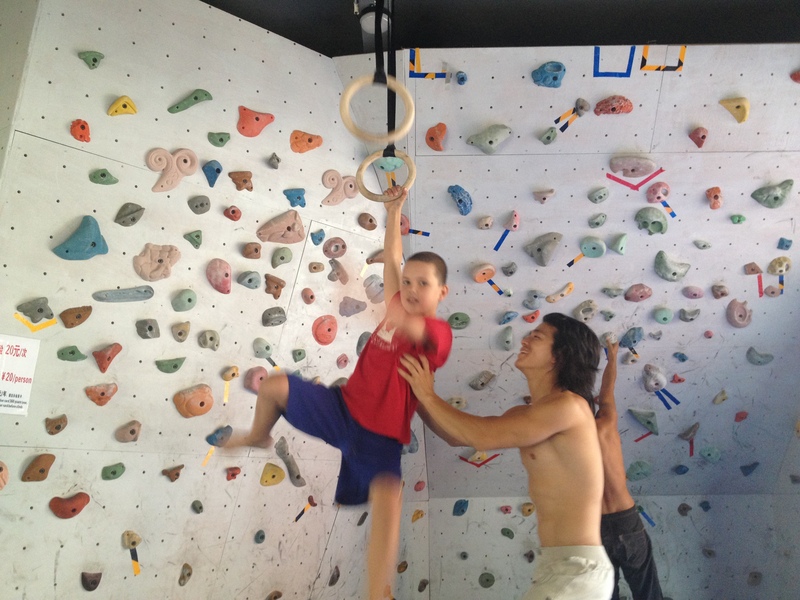 Now, he cannot stop talking about climbing and wants to do it more! While I was quite happy to be the official photographer, Anthony also really loved his first experience and climbed three different climbs at the hands of aBond….There is now talk about more climbing in Vietnam (where we are as I write) and in Thailand over Christmas! 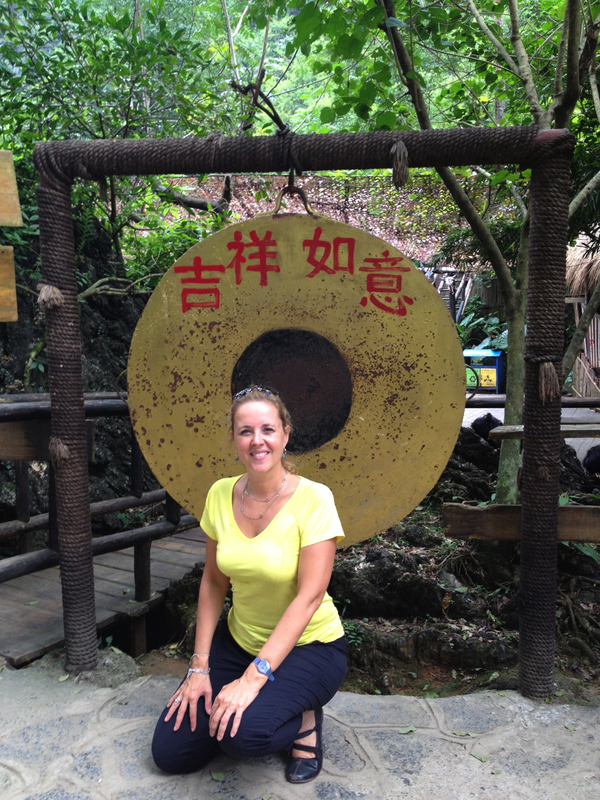 So with this great experience we say good-bye to the lovely little town of Yangshuo. – Your most amazing scenery of mountains, rivers, rice fields and yaks. – Your wonderful markets where you sell many delicious snacks (especially vegetable dumplings) and beautiful things (the best were your scarves and $7 RayBan glasses) and the craziness and charm of West Street where we savored many a coconut drink, smoothie and passion fruit. – Your insane traffic that comes from everywhere – but somehow everyone knows how to share the road! – Your (to us), crazy eating habits of dogs, cats and water rats! We are sorry you are so hungry. 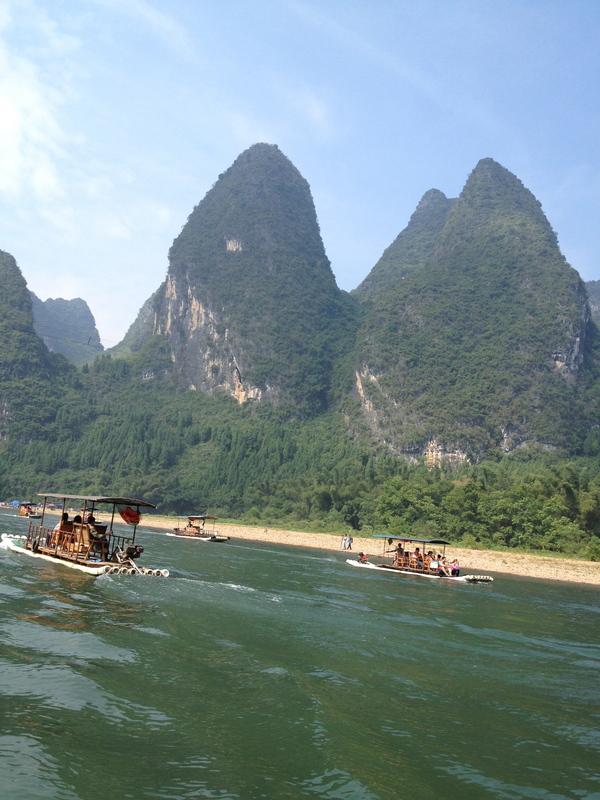 – Your beautiful Li River that we loved cooling down in, after a 33C day! – The kindness of your people – we thank you for making us feel so safe, welcomed and treated like stars! 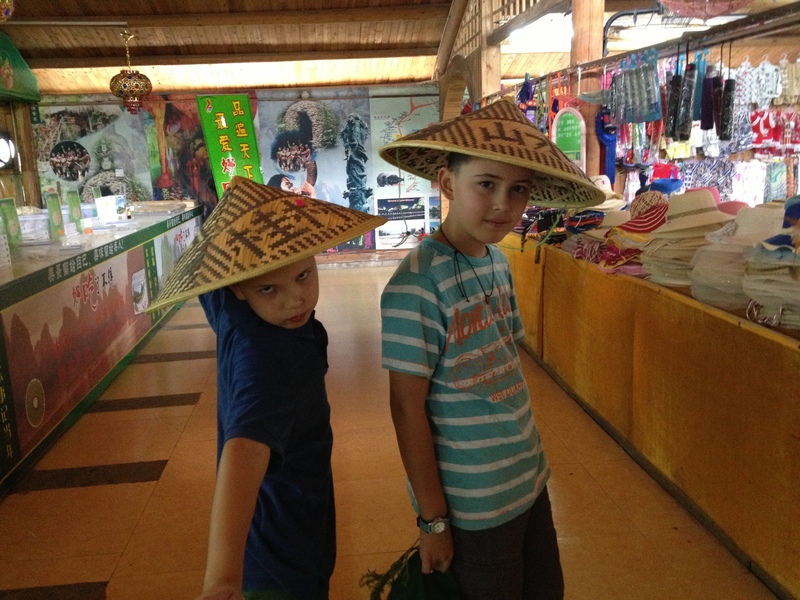 (our Chinese cooking instructor told me that children that major in English get the mandate to practice the language with foreigners, and are instructed to take a total of 100 photographs of those they chatted with!). 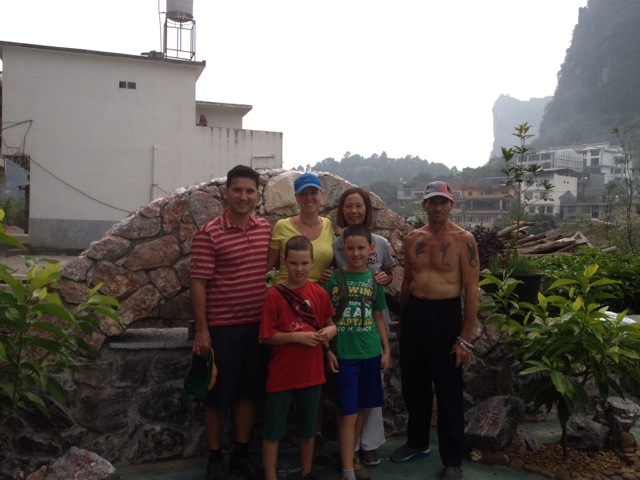 And with Yangshuo, we say good-bye to a wonderful month in China. Via bus, train and 2 planes, we will arrive soon in Vietnam!